﻿ Best Price on Warwick Paradise Island Bahamas - All Inclusive - Adults Only in Nassau + Reviews! Warwick Paradise Island – Bahamas All-Inclusive is an Adults Only 4 star resort on Paradise Island. It sits on Nassau Harbor and features 250 guest rooms and a private harbor beach. Free standard WiFi is offered throughout.The Warwick Paradise Island – Bahamas All-Inclusive has 5 restaurants and 2 bars. One of the most noteworthy aspects of the resort is its 10,000 square foot terrace, which overlooks the marinas across the harbor. Rooms at the hotel offer views of Paradise Island, and also a mini-fridge. 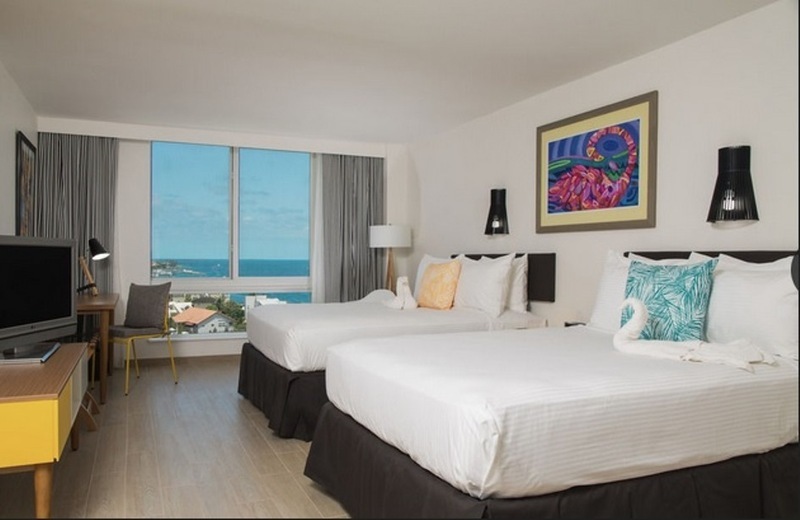 The resort welcome guests 16 and older with all-inclusive rates that include all meals and snacks, plus alcoholic & nonalcoholic beverages, as well nightly entertainment, activities and the use of fitness center. Cabbage beach picnic may be offered, subject to availability. This resort is a short walk of 10 minutes to shopping, casino, and the famous Cabbage Beach. The resort also has great on-site offerings. The property is located a 30-minute drive from Nassau’s Lynden Pindling International Airport (NAS). 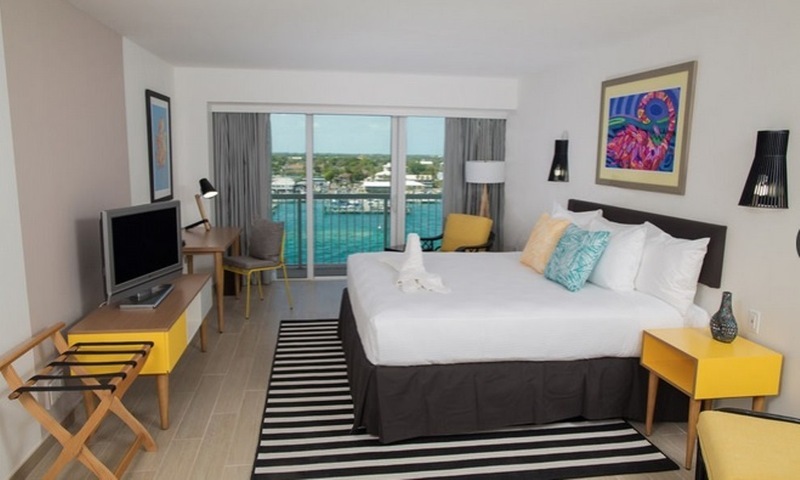 All Guests must be 18 years or older to make guest room reservations, be 16 years and older to be accommodated at the Resort, and to visit any of the restaurants or bars at Warwick Paradise Island Bahamas - All Inclusive. The resort welcome guests 16 and older with all-inclusive rates that include all meals and snacks, plus alcoholic & nonalcoholic beverages, as well nightly entertainment, activities and the use of fitness center. Cabbage beach picnic may be offered, subject to availability. The reservation's name must match the credit card payment. Guest must present ID at the time of check-in. Reservations are canceled automatically if the above conditions do not comply. Rates are based on the amount of occupants per room/per night. Reservations are required for Cabbage Beach Picnic due to Limited Availability. For more information please contact the Resort. Restaurants may not be open simultaneously. Reservation are required at the Edge Water Grill Restaurant. A refundable security deposit of $60 per night up until $300 is required at the check-in time. Please note that only registered guests are allowed in the guestrooms. Please contact the hotel directly regarding your reservation if Nassau and Paradise Island get placed under official hurricane watch by National Hurricane Center. Guests who are unable to arrive at the hotel due to a watch, a warning, or an associated flight cancelation must notify the hotel prior to scheduled arrival. Failure to notify the resort may result in the assessment of a cancelation penalty being applied. Late check-out is available at an additional cost. Please contact the resort directly for more information. Guests are required to show a photo ID and credit card upon check-in. Please note that all Special Requests are subject to availability and additional charges may apply. Certainly a unique place to stay. Very close to the altalantis hotel, close to the beach, also it has a small beach and a swimming pool. every cost already included in the original price. and free alcohol! A szálloda szoba szép modern, tiszta. A partja nem a legelőnyösebb egyszer sem voltunk benn. Az all inclusive mint fogalom elég érdekes, nagyon nem tetszett hogy össze vissza kellett foglalni éttermekbe asztalt és az étkezésekhez kellett igazítani a nyaralásunkat. A személyzet nagyon kedves, segítőkész.